Adelaide has a great gardening climate. We have all the products to assist with your garden. 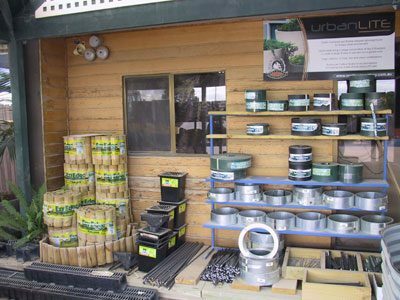 We keep a range of sprays, potting mix, fertilizers, baits, irrigation and hose fittings. 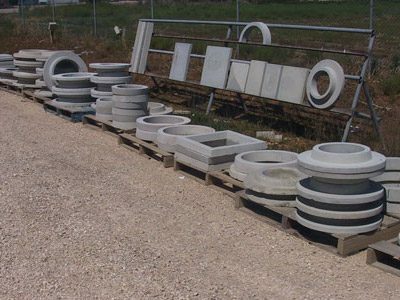 We carry a large range of concrete slabs, edging, tree rings and novelty concrete products. Ask for discount on bulk quantities. We keep in stock several different options for edging your garden bed, driveway or lawn area. Wether it be Flexible plastic edging, galvanized steel edging, Moss rocks, Sleepers or timber edging, Wood’N’Logs have it all in a range of different sizes, widths and lengths. Remember, if there is something you would like and we don’t have it in stock, ask us, we may be able to get it in at a competitive price. 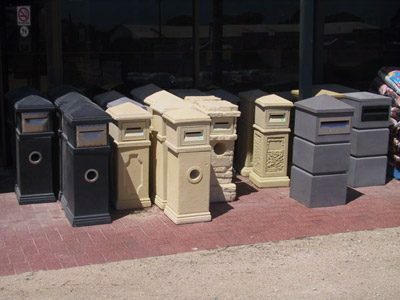 Call in or look at the gallery to see our range of concrete and sandstone letter boxes. 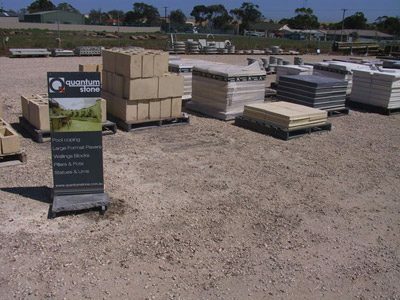 The letter boxes we stock are all made right here in South Australia and the prices are very competitive. Complimentary to our rural round posts we have a small range of Galvanized farm gates and associated hardware. We keep common sizes of gates in stock but can order in other sizes or larger quantities within a day or two. Contact us so we can assist you with sizes available and pricing. For the home gardener we have a range of low density non automated domestic irrigation. We keep in stock all common 13 mm and 19 mm fittings and adapters and pipe to suit. We also have various hoses to choose from with nozzles and fittings to suit. 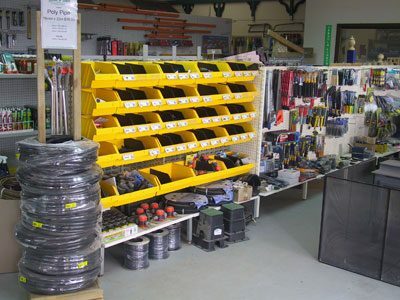 Call in to view our range. 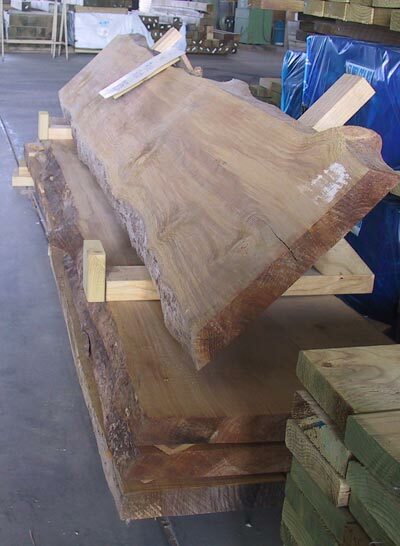 We have a supplier of these large pine slabs. They make great tops for home made bars or tables of all shapes and sizes. They are pine which makes them easy to work with. The slabs look fantastic once sanded and oiled or varnished. Sizes may vary slightly but range around 2.4 – 2.7m long and .400 – .500 wide.